From Indonesia to Thailand, Southeast Asia is home to countless areas featuring interesting cultures, exceptional scenery, unique foods, and hospitable people. Here are eight locales to visit that should go on your bucket list. Indonesia has over 13,000 islands and Bali is the one that everyone wants to visit—and for good reason. Bali offers a potent mix of hospitable people, a visually bewitching culture, and enticing beaches that appeal to surfers, divers, and standard-issue beachcombers alike. There's something for everyone here, and despite the waves of tourists that wash up on the beach, Bali still offers a level of peace that you simply won't find anywhere else. It's no wonder that most international visitors to Indonesia ignore everything else and head straight for Bali's shores. This paradisiacal sweet spot lies just two kilometers (1.2 miles) off the east of Java. 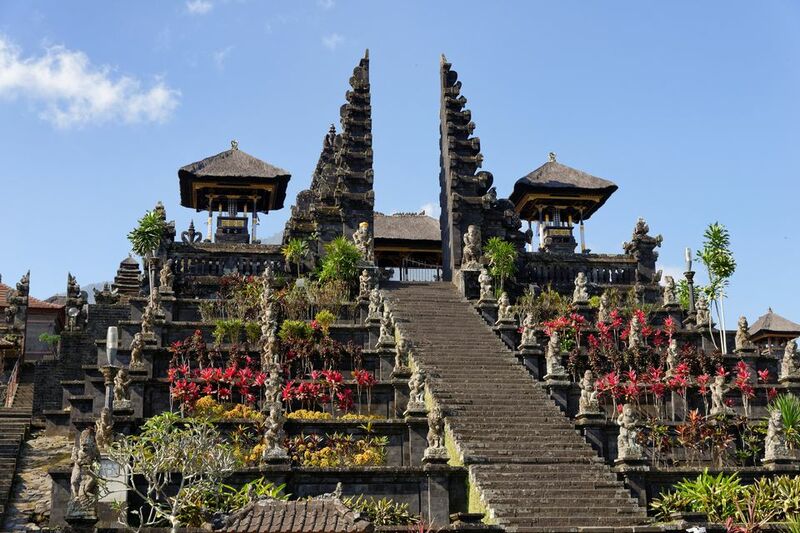 Travelers arrive at Denpasar's Ngurah Rai International Airport from other Indonesian cities like Jakarta or Surabaya, or from major cities like Singapore, Kuala Lumpur, Melbourne, and Amsterdam. The former heart of a formidable empire, Angkor stretches over more than 200 square miles of forest and ruin. Angkor's magnificent structures are all that are left of the Khmer Empire's old capitals, constructed between the 9th and the 15th century CE. At Angkor, you'll find the Bayon Temple's intricate stories told in stone, Ta Prohm's tree-overrun walls, and the jaw-dropping magnificence that is Angkor Wat—declared a UNESCO World Heritage Site in 1992. Twenty minutes north of the Cambodian city of Siem Reap, the ruins of Angkor can be reached by car or motorcycle. Visitors can arrive at Siem Reap's ​Angkor International Airport through flights from cities like Seoul, Singapore, Ho Chi Minh City, and Phnom Penh. If the Garden of Eden were underwater, it would look a lot like Tubbataha Reef, a marine formation 98 nautical miles southeast of Puerto Princesa City on the island of Palawan. Seasoned sports divers keep coming back for Tubbataha's coral walls, home to teeming schools of great jacks, manta rays, lionfish, Moorish idols, hawksbill tortoises, clown fish, and moray eels. Above the waterline, Tubbataha serves as a stopover and sanctuary for migratory terns, boobies, and frigate birds. All in all, over a thousand species—many of them on the endangered list—call Tubbataha reef home. The area has been declared a World Heritage Site by UNESCO.​ To get there, you can hire dive operators in Puerto Princesa or other areas to bring you to Tubbataha. Puerto Princesa itself is serviced by flights from Manila through local carriers Philippine Airlines, Air Philippines, SEAIR, and Cebu Pacific. If you're feeling up to hiking the third tallest mountain in Southeast Asia, Malaysia's Mount Kinabalu is open to all climbers. No specialized training is necessary to ascend Mount Kinabalu—but that's not to say that it's easy. How well you take to the climb depends on how well you adapt to the thinning air near the peak. The height of the mountain is estimated at 13,400 feet and can be covered in four hours if you're in a hurry. But why rush? Mount Kinabalu has so much to offer: incredible botanical and biological biodiversity with over 600 species of ferns (the entire continent of Africa has "only" 500), 326 species of birds, and 100 mammalian species. The gigantic Rafflesia plant calls the slopes of Kinabalu home, as does the only great ape of Southeast Asia, the orangutan. The park's biodiversity earned it World Heritage Site status from UNESCO. Kinabalu Park is about 50 miles east of the city of Kota Kinabalu, and can be reached in two hours via bus ride from this city. If you're coming from Sandakan, a bus ride to Mount Kinabalu will take six hours. Under the chaos and the congestion, Bangkok is actually one of the most tourist-friendly cities in Asia. Among its many surprises, the city's ample shopping could prove to be most rewarding for the average tourist. The Sukhumvit area, in particular, is teeming with shops selling clothes, jewelry, and art at rock-bottom prices while the Chatuchak Weekend Market offers almost anything you can think of, as it is one of the world's largest outdoor markets. Bangkok, the capital of Thailand, has two international airports (Suvarnabhumi and Don Mueang) which are visited daily by most major airlines. Singapore may be full of gleaming skyscrapers these days, but its executives are still nourished by a culinary tradition that goes back generations. Hawker centers are open-air food courts that serve a wide variety of Asian dishes, and the best, cleanest, and tastiest ones are right here in the Lion City. There is no ambiance and no air conditioning, but boy, do these hawker centers make up for it in taste. Prices are low ($5 buys you a big meal) and choices tend to be rather vast, reflecting the polyglot populace—Indian biryani stands stand next to Western food booths and noodle stalls. Tourists can visit the centrally located Lau Pa Sat Festival Market and Maxwell Food Centre for an authentic taste of Asia. As Singapore is one of Southeast Asia's largest aviation hubs, all airports eventually lead to Changi and by extension the hawker centers that dot the city-state. You can't miss it when you're in Kuala Lumpur—the Petronas Twin Towers rise from a central point in the metropolis, built on what used to be a racetrack and redeveloped into a modern mall-and-office complex. The world's tallest twin towers (1,482 feet high) are always worth a look, if only to ogle at the sheer scale of the project: The buildings loom 88 stories above Kuala Lumpur, totally dominating the skyline with a steel and glass façade designed to pay homage to Malaysia's Muslim heritage. The structure stands in the world's deepest-known foundations, sinking 400 feet into the ground. Visitors can go only as high as the skyway on the 41st and the 42nd floor. Even so, you get a great view of Kuala Lumpur from that vantage point. After your ascent, go ahead and spend a few hours and ringgit (the Malaysian unit of currency) at the sprawling Suria KLCC shopping mall at the base of the towers. The towers can be reached easily from any point in KL by taxi, bus, or LRT. No site in Southeast Asia encapsulates the European colonial experience as purely as Vigan in the Philippines. Recognized by UNESCO as a World Heritage Site, Vigan is a very well-preserved Spanish colonial town, complete with cobblestone streets and a design sensibility that fuses European colonial architecture with Asian designs appropriate to the climate. It's not all old buildings, though—the governor's fortress nearby features a mini-zoo with exotic animals; old ​calesas (horse-drawn carriages) offer rides through the Vigan streets; the Pagburnayan (burnay jar factory) will let you try your hand at making a huge traditional clay jar. Vigan is a seven-hour bus ride away from Manila, but the long trip is worth it if you're a fan of Old World European architecture. Buses travel the Ilocos Highway north to Vigan from Manila and back. The town can also be reached via flights that land in the nearby city of Laoag.